It’s my first working lunch of 2019 and today, with partner Dave Marshall, we set out to discover why everyone is raving about Jack’s in Old Town, Swindon. It doesn’t take us long to find out! Inside the café/bar/restaurant with its American styled décor we are offered one of the last two empty tables, the place is buzzing and there look to be a lot of happy customers. We ordered from the lunch menu with table service but if you are popping in for a quick bite to eat they also have the deli counter to visit which offers a wide selection of sandwiches and cakes. By evening this place turns into a restaurant specialising in steaks. Dave and I also spotted a couple of drinks on tap at the bar which are particular favourites of ours so this place really has a lot going for it! Having still not shifted my Christmas over indulgence weight, I order the quinoa and roasted vegetable salad, which is so much more than just that, consisting of grilled Cajun chicken breast, avocado and pomegranate with a lime and coriander dressing it was not only delicious but extremely filling and I had to forgo a few of the salad leaves. Dave opted for sizzling chicken fajitas with warm tortilla wraps, guacamole, salsa, sour cream and a dressed salad. As the fajitas were brought to our table the smell was incredible, Dave confirmed that they were extremely tasty and declared he would happily order them again, preferably with more tortilla wraps to use up the abundance of fajitas. 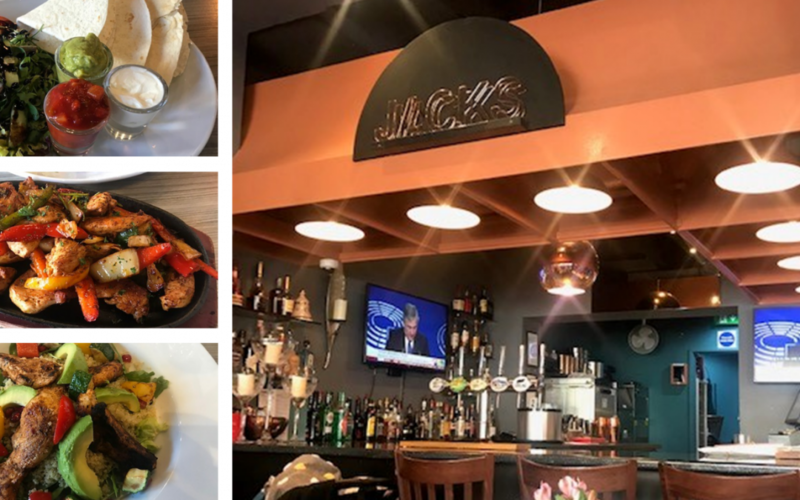 The service was very polite and friendly and considering the venue was heaving we did well to lunch out in just over an hour, with no time or room for dessert we wrapped up our meeting and headed back to the office agreeing that we will be back to Jacks soon!